It is a humbling thing to hold a score in my hands for the first time. I know it sounds a little crazy but it is somewhat akin to holding our newborn daughter for the first time. I am filled with awe of the creation but also aware of the daunting responsibility of shepherding it forward. 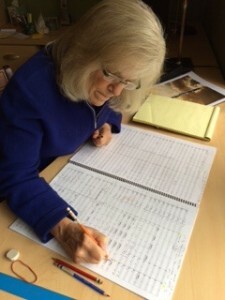 My job, as conductor, is to try and understand, through careful study, what the composer intended. As a mother I tried to honor my daughter’s a priori intent as a human being without imposing too much of myself. A lofty goal, indeed! The ironic thing is that you cannot possibly hope to give life to the composition unless you put your heart and soul into it. This concert is exciting because we will perform three pieces, all written within the last 10 years. All are accessible and thrilling to experience on both sides of the podium and if you ask, I’ll be happy to put any or all of the scores in your hands. Osmo Vänskä Joins the WSO!